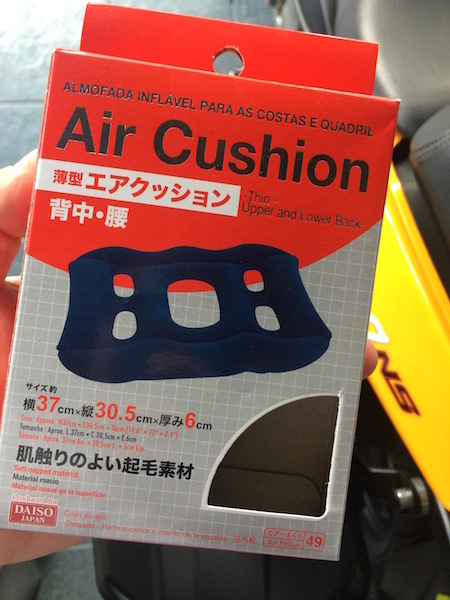 Looks more like back support for car seats . Apparently so. Nothing a little DIY modification won’t do to adapt it to the bike though! I was wondering how you managed the long hours seating. Good advice for my next ride! Although I brought it along for the trip, I honestly ended up not using it too much. Not that it wasn’t comfortable (it was! ), but that the removal and installation was too troublesome for me. But then again, at $2, I wouldn’t miss it even if I lost it. What are you riding? I actually found the stock seat on the 200NS sufficiently comfortable and am really hesitant to do anything to alter it permanently. I hope to do a Laos & Cambodia trip like you did. As long as I don’t need to do a carne to get into the country. I would love to do a Nepal ot Bhutan trip, but not sure about time. 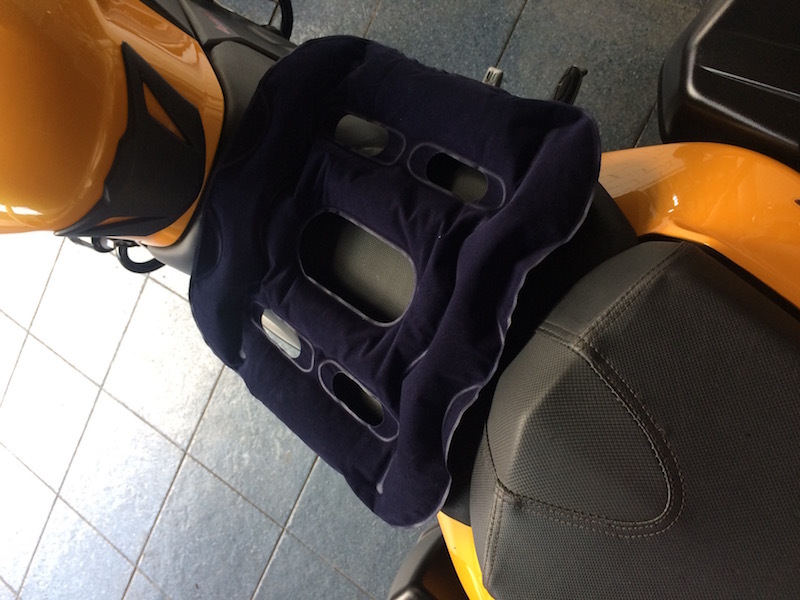 I had the opportunity to try out the mesh seat on the rental while I was in Chiang Mai. I’m pretty pleased with it actually. But you’re right – great for scooting around town, but may get scratchy for longer rides. So far, Thailand, Laos and Cambodia didn’t request to see a carnet. Ooh! I would love to do Nepal and Bhutan someday too. But I’ve heard that Bhutan’s relatively closed up – so not sure if foreign motorcycles are allowed entry. Next Next post: The sgBikerBoy 2016 Trip! ← New rims – Autoglym Bumper and Trim gel ← The sgBikerBoy 2016 Trip!